My son started reading “The Series of Unfortunate Events” after receiving the first “The Bad Beginning” book for Christmas. Since then, those bothersome books have brought nothing, but leisurely laziness to my home. 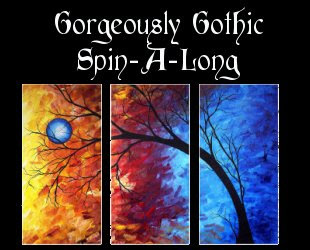 With so many ill-fated adventures, one must take events into their own hands by stopping to spin a tale using a frenzy of fibers from my Gruesomely Gothic Spin-A-Long! Samples of some of the colorways are headed out in January's Phat Fiber Box, which you can find more information at www.phatfiber.com/. Listing for the fiber will go up for sale on my Etsy Store the day Phat Fiber boxes go on sale. I will either card two beastly batts of 2 oz each, or I will dye 4 oz of Superwash roving that is inspired by one of the 13 books. Some of these sinister sets can be viewed and purchased right away. Others, you will have to wait and see what comes in the mail. The awful batts boast lots of texture and dark colors. The possibilities are endless with angora, Angelina, Firestar, wool, mohair, and other dreadful fibers. (NOTE: if you are allergic to a particular fiber, please let me know ahead of time.) I will also include extra goodies to add-in, which could include sequins, locks, ribbons, or a number of different items. When you have finished spinning your atrocious yarns, photograph them and send the picture to me at dawningdreams@gmail.com. 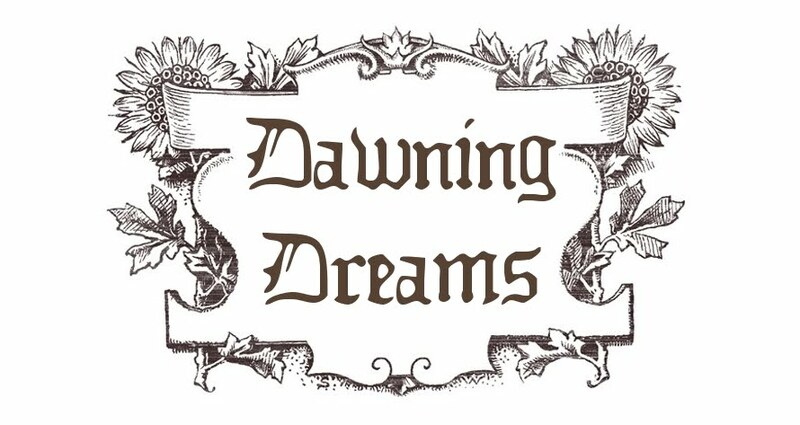 I will then post pictures on the Dawning Dreams “Gorgeously Gothic SAL” Thread for final voting. February 1st - Batts will be sent out. March 8th - Winners announced! Feel free to take pre, process, and post photos of yourself spinning. The more pictures we have to choose from, the better your chances. You will also receive double entries for finished yarn AND finished object photos. Please, include the following devious details for your bad batts in a message, so that I may make your package as perfectly personalized as possible. What are your top two color choices? Buttons, ribbon, lace, sequins, locks, metallic threads, beads, faux pearls, fabric strips, feathers, silk flowers, or if there is something else you have in mind that I may be able to find. This past weekend, I had the absolute pleasure to vend at the Arkansas Fiberarts Festival on Mt. Magazine. The chairs abounded with knitters, crocheters, spinners, dyers, and every other walk of fiber life. I wish I had gotten a picture of the hallway that was lined with gentlemen and ladies working on projects. There were about 50 at one point! Pleased to have such a variety of vendors as well, I actually didn't get to shop around due to the fact that I was so busy at my own booth. I did, however, obtain a ball of hand-dyed worsted weight yarn from Mad Science Creations that is a stunning dark blue and black. I also bartered for a neat project bag for socks. Jane and I spent a little time showing new spinners how to use a wheel. I love sitting around such a variety of wheels and comparing and contrasting. Fiber Festivals are the only place I get hands-on testing of otherwise an unattainable variety of wheels. Here's my new Jordana Paige Knitter's bag shot with the view from our cabin. As you can see, it was stunning to wake up every morning to such a sight, and gave me plenty of inspiration to spin. To those who have never attended a festival, I would highly recommend getting yourself to one. They are worth every drop of gas to be among such wonderful and fun individuals that make what we do a pleasure.